It takes a community to develop a champion and we are committed to building a network of support around our future champions through the Home Team Advantage Fund. We proudly support the dreams of BC-based athletes and coaches, and invite you to join the team who helps athletes win medals for Canada. With your direct contribution, we can continue to have a tremendous impact on podium performances by BC-based athletes across Canada and around the world. 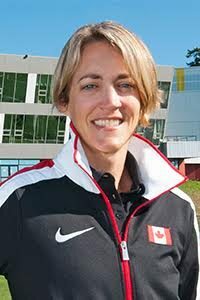 To learn more about the Canadian Sport Institute Pacific and to discuss your gift please contact Wendy Pattenden, CEO. When you donate to the Canadian Sport Institute Pacific’s Home Team Advantage Fund, your support ensures athletes and coaches are given every advantage to compete on the world stage. Your support will enable BC-based athletes to benefit from our highly experienced and innovative team of sport dietitians, mental performance consultants, physiologists, strength and conditioning coaches, performance analysts, and more.